Heavy vehicle mechanical company Ferris 60 has pulled into a prominent Brisbane Trade Coast location on Lytton Road. 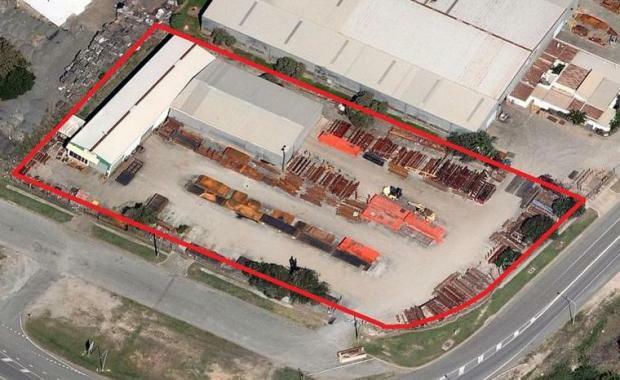 The company has leased a large warehouse property with large hardstand and yard at 1827 Lytton Road, Lytton at the Port of Brisbane. The property comprises a 1,200sq m warehouse and office area on a total land area of 6,859sq m.
In a leasing transaction negotiated by Shaw Harrison of Savills, Ferris 60 has secured the property on a three-year term with further options at an annual net rental of approximately $192,000. Mr Harrison said the property provides prime Trade Coast positioning for Ferris 60 to service trucks and heavy vehicles in this busy logistics location. [urbanRelatedPost][/urbanRelatedPost]He said the fully fenced property with freestanding warehouse with multiple roller doors and ample hardstand and yard was ideally suited to the mechanical operations of Ferris 60. “This property boasts a prominent corner setting on Lytton Road complemented by ease of access and a large hardstand and yard area,” he said.